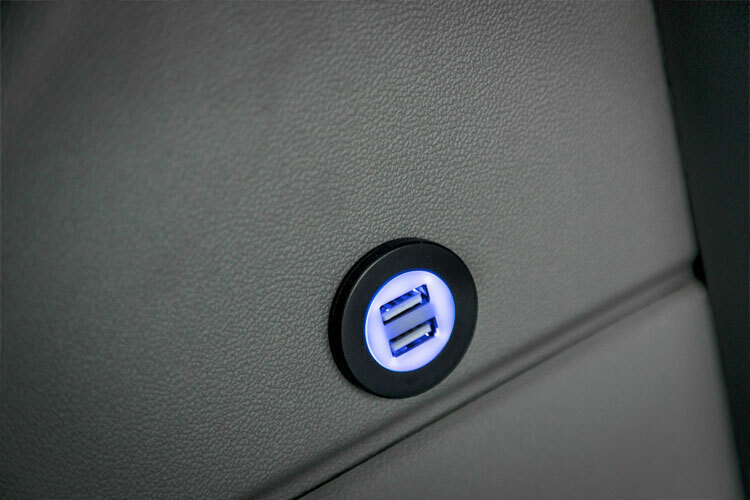 ECS Transportation Group offers the Mercedes-Benz Sprinter and the Ford Transit Executive vans. These 13 passenger vans are the perfect transporter with plenty of room for both passengers and luggage. These vehicles are a great choice for corporate and airport travel or shuttling guests to and from special events. 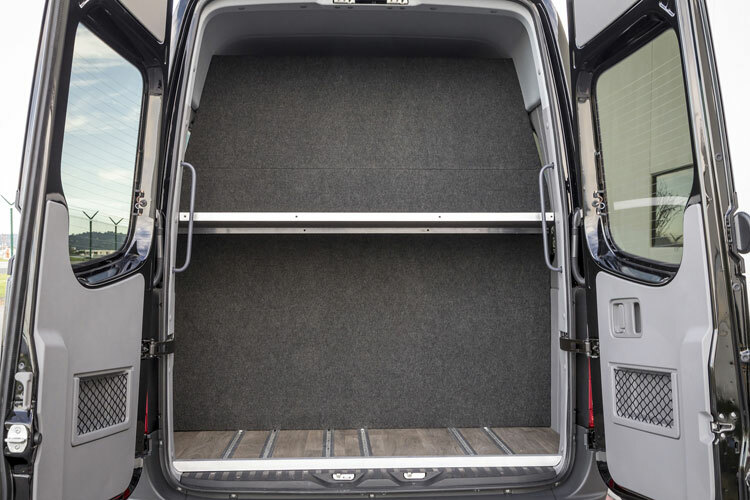 Our Executive vans offer spacious interiors with over 6′ of head room, luxury high back, contoured seats, all with head rest and shoulder strap seat belts, and plenty of leg room when you sit down. There is a large amount of space for luggage for your group. 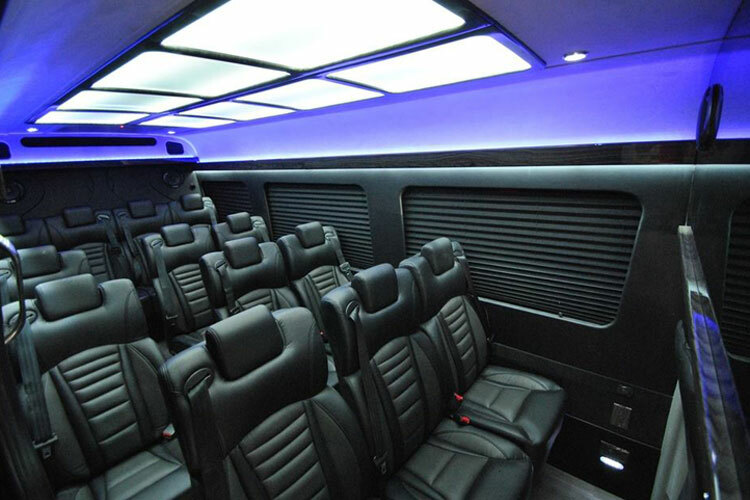 The dark tinted windows keep the interior cool and provides the ultimate desired privacy for your VIP clients.